Okezie Victor Ikpeazu, Ph.D, a renowned biochemist, teacher and a highly acknowledged Public Servant, was born on October 18, 1964, to the family of late Pa Ishmael and Deaconess Bessie Ikpeazu of Umuebere in Umuobiakwa village, Isialaukwu, Mbato Autonomous Community in Obingwa Local Government Area of Abia State, Nigeria. Dr. Ikpeazu attended Amaise Central Primary School, Umuobiakwa. In 1973, while in primary five, he gained admission into Eziama High School, Aba and later moved to Ihie High School, Isiala Ngwa where he took his School certificate examination in 1979. In 1980, at the age of 16, he gained admission into the University of Maiduguri (UNIMAID) to study Clinical Biochemistry and graduated with a B.Sc. (Hons.) Second Class Upper Division in August, 1984. From August 1984 to August 1985, Dr. Ikpeazu served as a clinical biochemist in the medical laboratory of the Rivers State University of Science and Technology (RSUST) Port Harcourt for his national youth service. He returned to the University of Maiduguri for an M.Sc degree in Biochemical Toxicology and graduated in 1990. In 1994, at the age of 30, he obtained a doctorate degree, Ph.D in Biochemical Pharmacology from the University of Calabar. Dr. Ikpeazu served as a Graduate-Assistant, in the Department of Science Laboratory Technology, University of Maiduguri, from 1986 to 1987 while studying for his M.Sc degree. He also taught at the Calabar Polytechnic from 1990 to 1992 during his Ph.D programme. Between 1994 and 1996, he served as Administrative Manager with Cash Bond Investments and Credits Ltd, Lagos. In 1998, Dr. Ikpeazu joined the services of Enugu State University of Science and Technology (ESUT) as Lecturer 1 in the Department of Applied Biochemistry, Faculty of Applied Natural Sciences, and rose to Head of Department by 2001. He was also an Adjunct Senior Lecturer, Department of Biochemistry, Ebonyi State University College of Basic Medical Sciences, between 2000 and 2002. Between 2003 and 2004, he was a Masters’ Degree External Examiner, to the Department of Biochemistry, University of Nigeria. In 2002, Dr. Ikpeazu served as the Transition Committee (TC) Chairman for Obingwa Local Government Area. This marked his entry into politics. He also served as Special Adviser to the Governor of Abia State. He was appointed General Manger, Abia State Passengers Integrated Manifest and Safety Scheme (ASPIMSS) from 2007 to 2009. Within the period, he turned around the fortunes of ASPIMSS, and made it a revenue yielding agency of government. In 2010, he was appointed Chairman, Governing Council of Abia State College of Health Technology, Aba. During his tenure, he facilitated the accreditation of three critical courses in the institution by the NBTE. In 2011, he was reappointed General Manager, Abia State Passengers Integrated Manifest and Safety Scheme (ASPIMSS), a position he held till 2013 when was appointed the first Deputy General Manager, Abia State Environmental Protection Agency (ASEPA) Aba and Environs; an assignment he creditably discharged to the admiration of not only the Aba populace, but also the entire Abia State and beyond, interpreting the vision of Chief T.A Orji, on environmental and waste management. 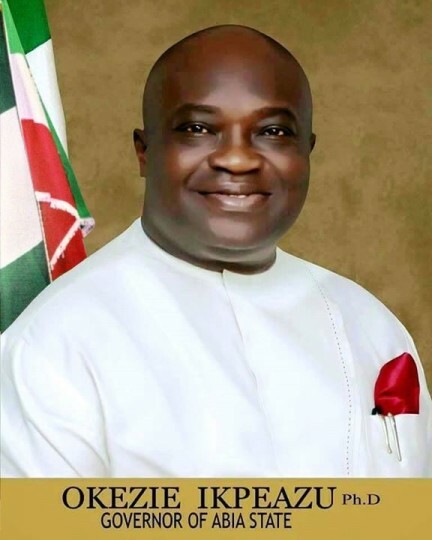 Okezie Victor Ikpeazu is currently serving the good people of Abia as the Governor of Abia State. He was elected under the platform of the People’s Democratic Party (PDP) in April 2015, sworn in constitutionally in May 29 2015.